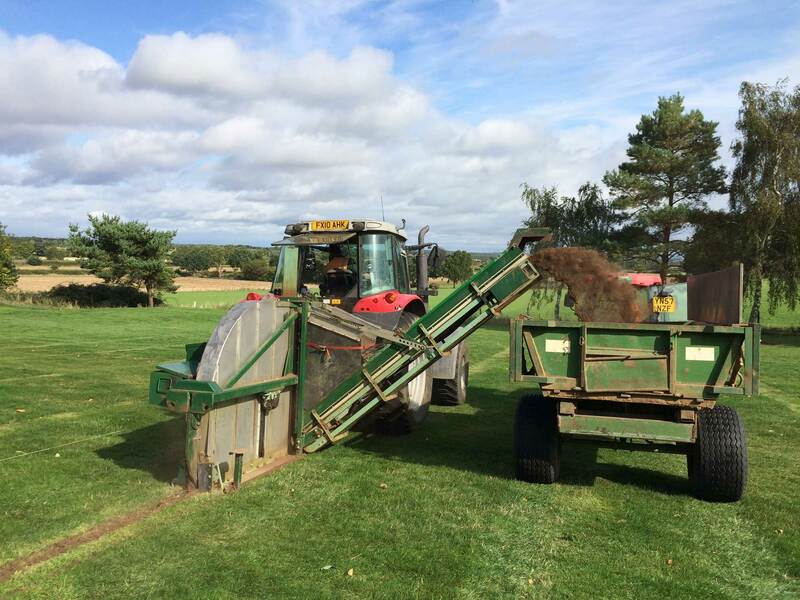 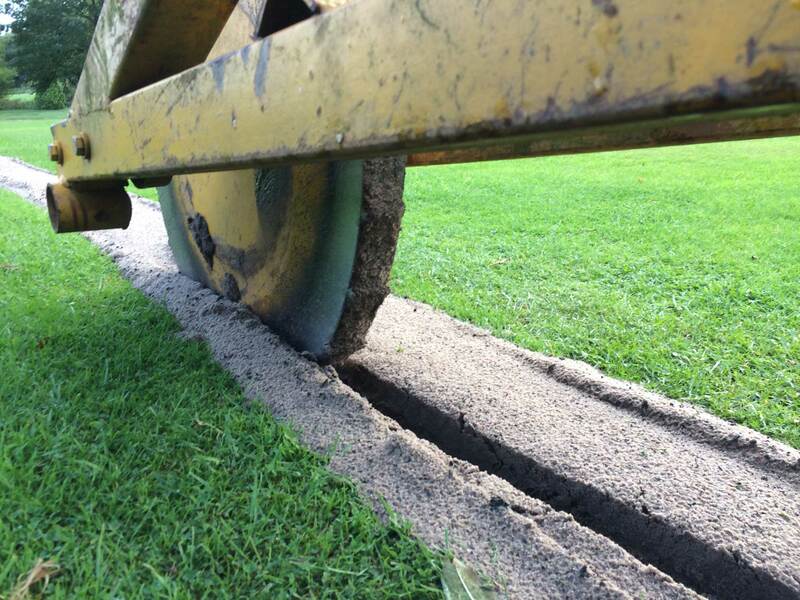 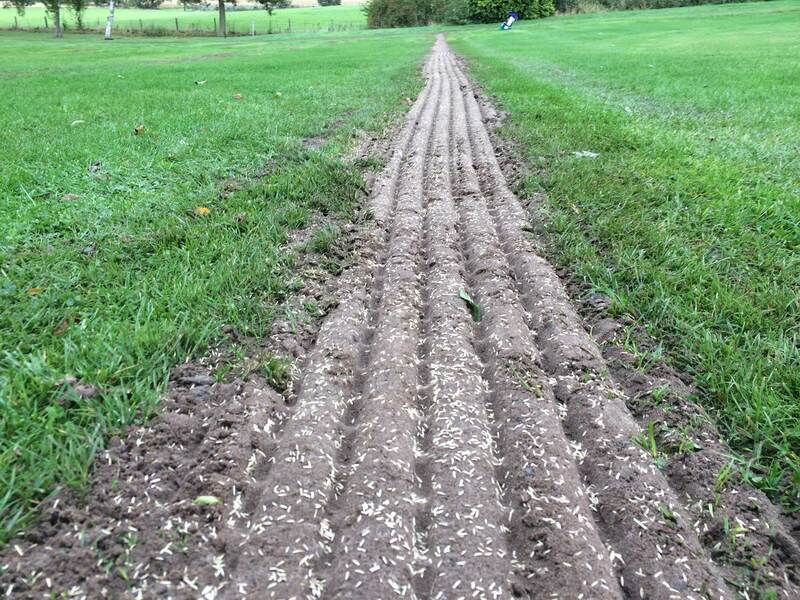 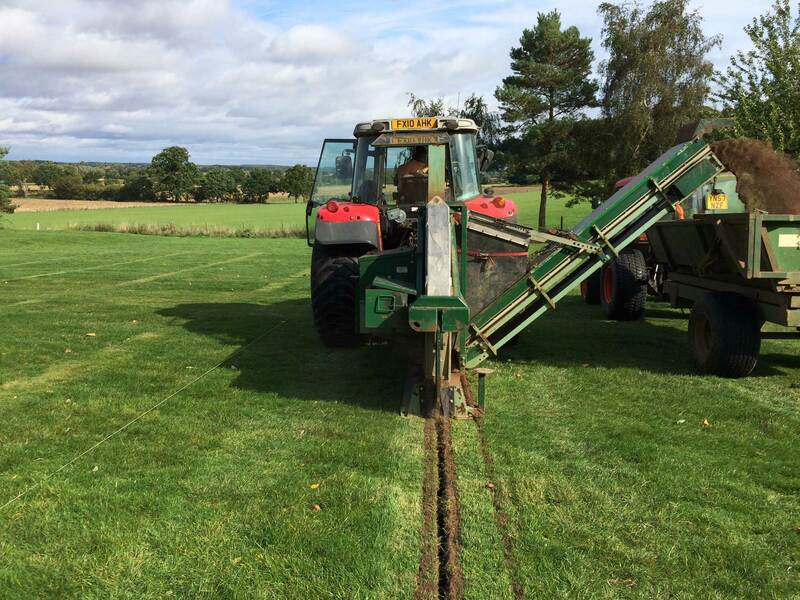 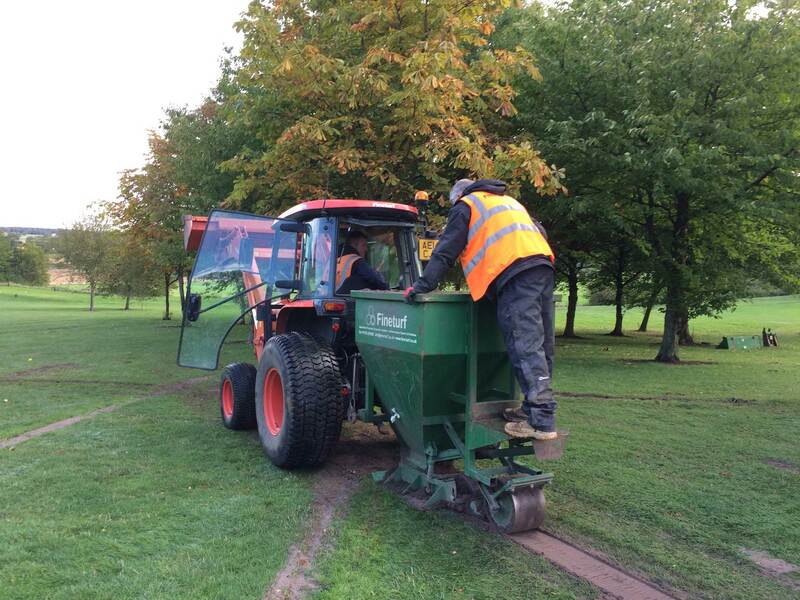 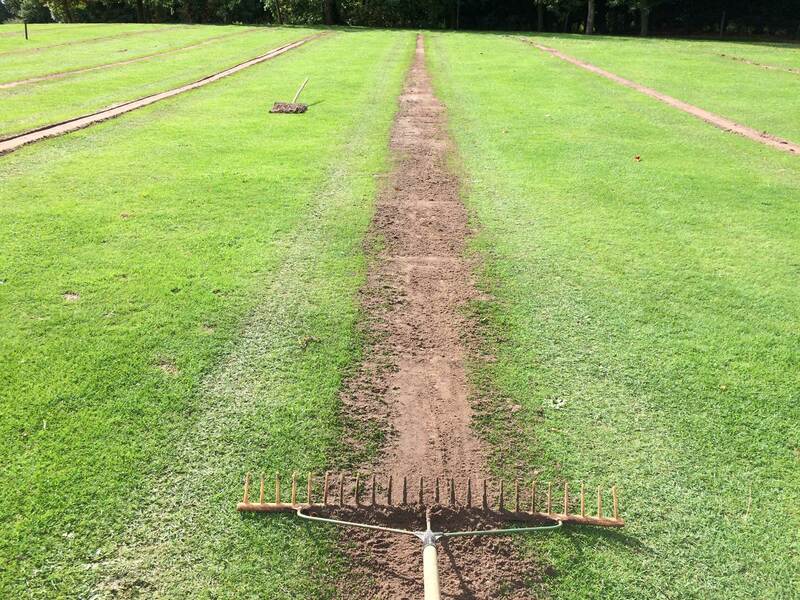 At Gainsborough Golf Club soil capping had led to poor drainage on areas of the 1st and 2nd fairways. 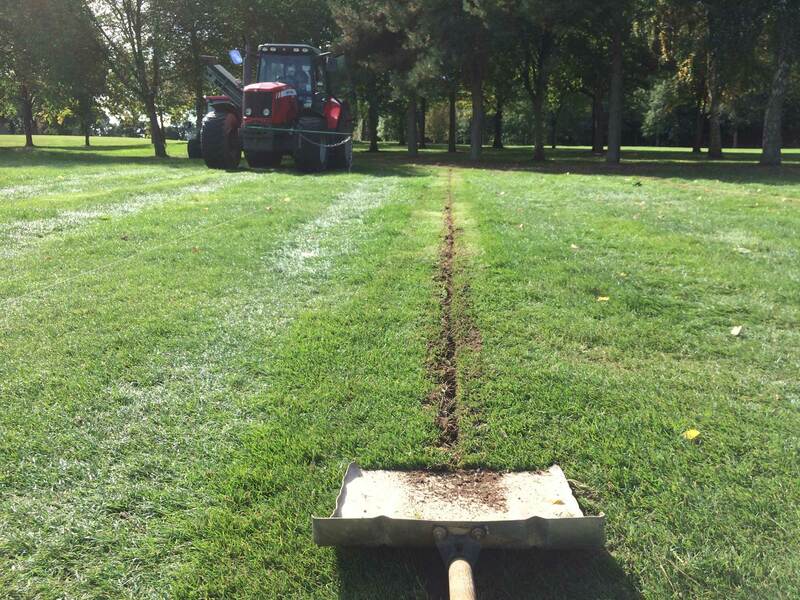 New trenches were excavated into the existing trenches, 200mm deep down to clean gravel. 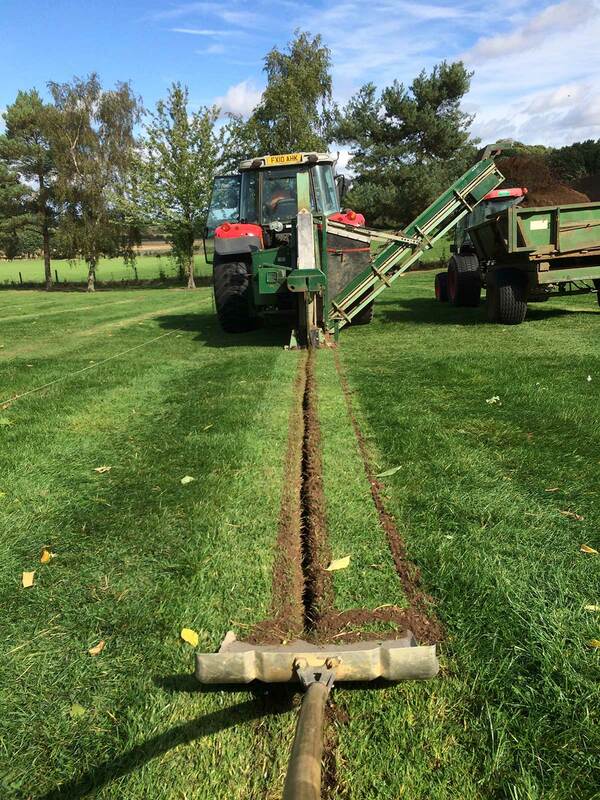 The trenches were backfilled with a 50mm layer of 2-6mm washed gravel and topped up with 150mm of rootzone. 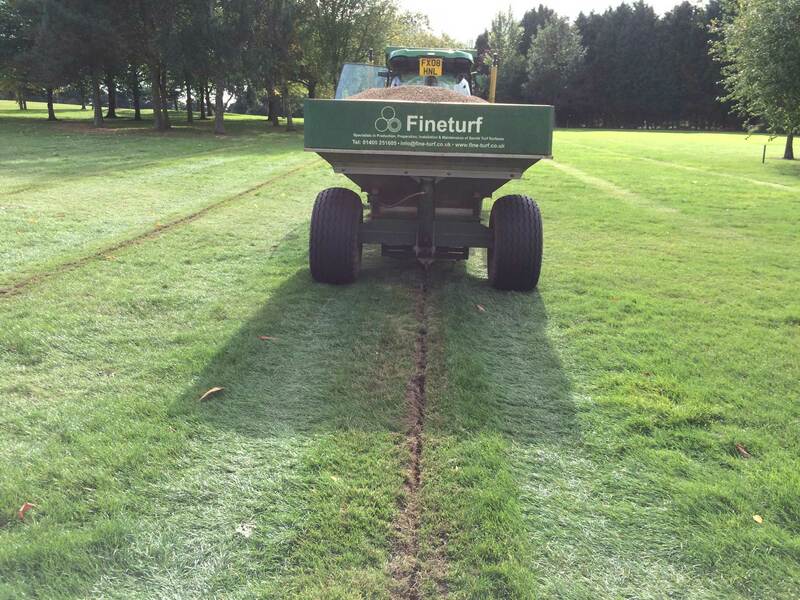 The trenches were consolidated with our custom built press wheel and overseeded.